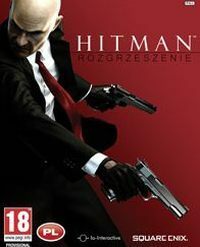 An action game with stealth features and the fifth major entry in the Hitman series. Hitman: Absolution’s development has been handed to a Danish studio Io-Interactive, a subsidiary of Square Enix. Its story shows the further life of Agent 47. The fifth part of the adventures of the infamous killer with a distinctive barcode on the back of his head. In Hitman: Absolution, released for PC, X360 and PS3, Agent 47 gets betrayed by his former employer and thrown into the heart of a mysterious conspiracy. The Agency’s most effective killer now becomes a hunted prey and is forced to use his outstanding skills and experience to survive. Important roles in the new game are played by Diana Burnwood, known from previous parts, and a girl named Victoria, whom the Agency desperately wants to capture for unexplained reasons. The game, just like the previous parts of the series, combines features of action and stealth games. As usually, you spend a lot of time trying to keep low profile, whether by sneaking behind enemies’ backs or walking into off-limit areas in disguise. The game effectively promotes careful exploration and quiet elimination of targets without starting an alarm, at the same time rewarding spectacular kills (e.g. poisoning or causing an “accident”). Of course, Agent 47 is not entirely limited to avoiding fighting with opponents. In life-threatening situations you can, for example, make use of an advanced cover system or so-called instinct shooting, which allows you to mark targets for an automatic execution. Hitman: Absolution for PC, X360 and PS3 allows players to match the level of difficulty very accurately to their skills and preferences. At lower difficulty levels enemies are poor at tracking Agent 47 and come in small groups. At higher levels, in turn, you have to cope with armies of well-trained opponents with excellent sight and hearing. For players who seek maximum level of challenge, Purist mode was prepared, whose most important feature is removal of user interface (the so-called HUD). The game runs on Glacier 2 engine, which among others allows to recreate detailed facial expressions of characters using motion-capture technology. Hitman: Absolution for PC, X360 and PS3 can boast very interesting locations that are visited by Hitman, among which there are: abandoned blocks of flats, a nightclub, a luxurious mansion, a weapons factory, a farm, a courthouse, a library, and a motel on the side of the road. In English version of the game Agent 47 was voiced by David Bateson, well-known to fans of the series. The cast also sports a few other famous names, including Keith Carradine and Marsha Thomason. The game is enriched with numerous conversations of non-playable characters, which often reveal many interesting things about the current mission. This unofficial guide to Hitman: Absolution game contains very detailed walkthrough of its all 20 chapters.